SCOOP Condos is a new condominium development currently in pre-construction at 1791 St. Clair Avenue West in Toronto, Ontario by Graywood Developments Ltd. It consists of a six storey building with 72 units designed by SMV architects. SCOOP Condominiums is located in the Carleton Village neighbourhood of Toronto which is mixed community with commercial, residential and light industrial areas with railway lines nearby. Residents here come from many backgrounds including Italian, Portuguese and Asian. The SCOOP Condos by Toronto-based Graywood Developments is situated to the east of Keele Street and to the west of Caledonia Road. Graywood Developments was founded in 1985 and have developed over 25,000 housing units thus far. TACT Architecture which is headed by Principal Prishram Jain is the firm responsible for the interiordesign of this residential building that is proposed to be 6 storeys in height with a total of 72 proposed units ranging in size from 520 square feet up to 1,200 square feet. The design will feature suites with balconies and will stand at the corner of St. Clair Avenue West and Ford Street which is currently a parking lot. This new proposed development site is located close to many parks such as Earlscourt Park, Sadra Park, Wadsworth Park and Maple Claire Park. Schools in the area include Pope Paul Catholic School, General Mercer Junior Public School, St. Matthew Catholic School, Saint Nicholas of Bari Separate School, Saint Josaphat Separate School and Harwood Public School. SCOOP Condos is also located near the Toronto Weston Flea Market and shops such as The Home Depot, Best Buy, RONA Home & Gardens Stockyards and the Canadian Tire. There are also many restaurants that line St. Clair Avenue such as El Rancherito, Big Ragu, Sabor Brasil Restaurant, Pho Xua, Swiss Chalet Rotisserie & Grill and many, many more. The new jewel of Liberty Village at King & Stracha "ZEN King West Condo Tower". SCOOP Condos is located close to accessible public transportation with the St. Clair streetcar stop right in front of your door steps and the Bloor GO Station is located a few minutes drive to the south. High Park which is "Toronto's largest public park" is situated about five kilometres away where families can enjoy their time at the children's playgrounds, use the many picnic areas, gardens, sports facilities, hiking trails and a zoo. It is about 400 acres in size and one third of the park remains in its natural state and many events take place here yearly. 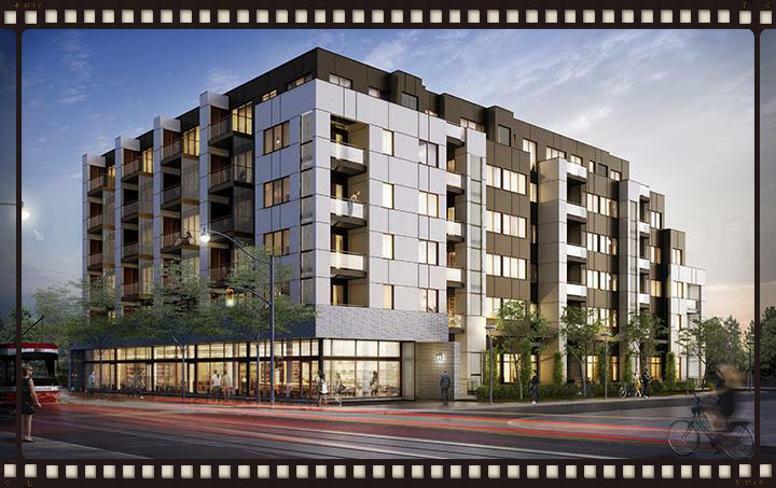 Register with us today for more information on the SCOOP Condos by Graywood Developments! The SCOOP Condos Floor Plans and Price List will be available soon. Please call or complete the registration form to get all the info and to register now for the Platinum VIP Preview Sales Event. For more information, please register today for the SCOOP Condos.